A soldier escorts a tiger through the forest, keeping an eye out for enemy combatants, monsters, and who knows what else. The soldier, named Rook, keeps referring to the tiger as if it is her queen. Something is clearly up, but it's not clear precisely what that is. 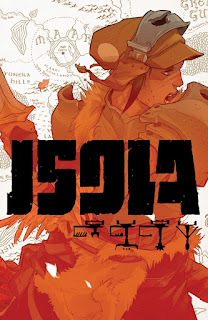 There's a deliberate choice to drop the reader in the deep end in the first issue of Isola, a new fantasy series from creators Brenden Fletcher and Karl Kerschl. What readers receive is an arresting and dramatic opening chapter, but it is one that deliberately raises a lot of questions while withholding all of the answers. It's a gamble, but one that seems likely to pay off - Isola #1 is absolutely tremendous. The intriguing story is enhanced by Kerschl's tremendous artwork. It has the look of a high-budget American animation, with beautifully rendered characters and emotion. The art has a sensational sense of movement. It is easily one of the best illustrated books of the year. Mssassyk's colours are intense and rich, and further enhance the impact - particularly when it comes to the tiger queen Olwyn, an intense and expressive co-protagonist whose entire character is expressed via the artwork alone. Isola #1. Image. Written by Brenden Fletcher and Karl Kerschl. Art by Karl Kerschl. Colours by Msassyk. 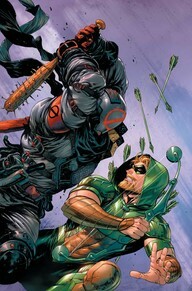 Under the cut: reviews of Batman, Green Arrow, and Spider-Man. DC Comics. 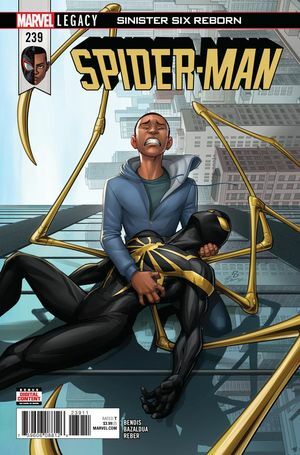 Written by Tom King. 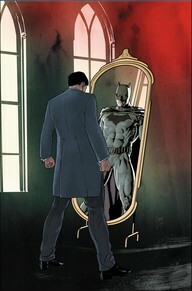 Art by Mikel Janin and Joelle Jones. Colours by Jordie Bellaire and June Chung. DC Comics. Written by Jackson Lanzing and Collin Kelly. Art by Marcio Takara. Colours by Marcelo Maiolo. Star Trek: Voyager: "Death Wish"
Outlander: "By the Pricking of my Thumbs"
Highlander: The Series: "See No Evil"